The flash point for the start of World War 1 was the assassination on 28th June 1914 of Archduke Francis Ferdinand at Sarajevo in Bosnia. In reaction to subsequent events, Britain declared war on Germany on 4th August 1914, Austria-Hungary on 12th August and Turkey on 5th November. The war concluded 4 years later with the signing of an Armistice on the eleventh hour of the eleventh day of the eleventh month in 1918. In this time, World-wide, over 65 million men were mobilised, 8½ million killed, over 21 million wounded, 7¾ million were taken prisoner or were missing, bringing the total casualties figure to a horrendous 37½ million. Of the 8,904,467 men mobilised from the British Empire, 3,190,235 were casualties. Put simply, that meant that every conscript had a 35.8% or more than a 1 in 3 chance of becoming a casualty. This is not the place to recount World War 1. It is the place to tell the story of the impact of the War on our family, particularly, the impact on those who fought. We need to consider just who was in the family in 1914. Charles Marks and his wife Emily Maria Marks née Veale were very much the centre of the family. They had married in 1892 and had at least 12 children possibly 13. (see the story 11 or 13 Children). 11 children had survived and the family was living in West London in 1914. At the outbreak of war, the second eldest daughter Ellen Laura, (Auntie Nell), had married the previous year but the others were still single. The children were aged from the eldest Emily Sophia, (Aunt Em), at 22 to the youngest Fred aged 4. When you visit the family website it is Charles and Emily's pictures prominently shown on the front page and the Magnificent Eleven we affectionately refer to are their 11 surviving children. Opening the family tree Home Card for Charles & Emily will show their children listed below it. It is a fact of life through the ages that when it comes to war, it is the young men who bear the brunt. No one belittles the impact or contribution of others of both sexes but it is the young men who historically have been called to arms. Initially young men from age 17-25 seem to be summoned. As time goes on for any particular conflict, the upper age limit inevitably increases as casualties mount. Thus in 1914, if you were a male, your age was pivotal to what your Country demanded of you. Of Charles & Emily's surviving children, 7 were boys. At the outbreak of war, Charles Albert, (Uncle Charlie who emigrated to Australia) was 22, William George James, (Uncle Jim) was 17. The other 5 boys were mercifully below conscription age with Samuel, (Uncle Sam), 13; George Edward, (Uncle George), 12; John, (Uncle John), 10; Edward Albert, (Uncle Albert, my Dad), 9; and Frederick Philip, (Uncle Fred), 4. Both Charles Albert and William George James joined the Army. Here are their stories. 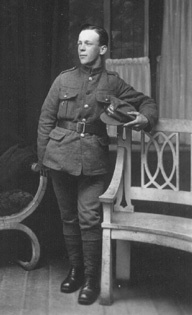 Charlie volunteered to serve in March 1915 when he was aged 19 years and 4 months. He was in the 3rd Middlesex Regiment and achieved the rank of Lance Corporal. He was sent to France in 1915 and took part in many engagements, including those at Loos and Hulluch. Later he was drafted to Salonika and saw action on the Struma and Doiran Fronts. After the cessation of hostilities he was stationed in Constantinople. He was demobbed in April 1919 and holds the 1914 - 1915 Star and General Service and Victory Medals. He was demobbed to 18 Hampden Street, Paddington, London W2, his parent's home at the time. We have hard copy of his entry in the National Roll of Honour of the Great War. From a telephone conversation on 29th March 2000 with June (Freda June Daphne, Charles' daughter by his first marriage), she told us from her memory that : - “Charlie got bad trench foot in WW1. He became an expert knitter which he learned to do whilst in hospital recovering. He used to knit all June's jumpers etc. When he came out of the Army after the War he could not get a job and joined the Royal Air Force. As a result he spent 9 years in India. When he arrived in Karachi it was just a collection of tents. When he left it was a proper airport. At the end of the 9 years Charlie was a Flight Sergeant. At the time, unless you were monied, this was the highest rank you could achieve”. Charles emigrated to Australia in 1948 with his second wife, Eleanor and their 2 children David and Jacqueline. June, (Freda June Daphne), Charles’ daughter by his first marriage to Freda (who died in hospital 12 days after giving birth to June) had married 6 months earlier and stayed in the UK. Charlie lived to the age of 84 and died in 1980 at Waverley, NSW, Australia. In recent years we have made contact with all 3 of Charlie's children, June in Ashford, Middlesex, Dave in Perth, Western Australia and Jackie in Tregear, New South Wales. Jimmy joined up in July 1917 when he would have been aged 20 years and six months. He joined the Queen's (Royal West Surrey Regiment). He took part in engagements at Messines Ridge, Passchendaele and at the advance at Cambrai in 1918. He holds the General Service and Victory Medals. He was demobbed just a month before his 23rd birthday in January 1920. He was demobbed to 18 Hampden Street, Paddington, London W2, his parent's address. We have hard copy of his entry in the National Roll of Honour of the Great War. 6 years after being demobbed, Jimmy married Doris in 1926 and they raised a family of 5. Jimmy lived in Burnt Oak, Edgware and died at age 67. In recent years we have made contact with all 5 of Jimmy's children. 3 of them have been to Cousins' Reunions and the youngest Marg was enthusiastic about family history and the source of a lot of the information about her family. Not only did Emily Maria have 11 children to raise with 2 of her sons away at war, she also had her birth family to worry about. Emily Maria was a Veale by birth. She was the eldest of 7 children of which 4 were brothers. As we have discovered, if you are a male, your age in any war is pivotal to what your Country expects of you. In 1914 Emily Maria's surviving 3 brothers were aged as follows: Alfred James 38, Frederick John 32 and Charles Henry 22. On the face of it, only Charles Henry was likely to face immediate conscription. In reality, both the oldest Alfred James and the youngest Charles Henry saw service. As you will see, fate was nowhere near as kind to these two men as it was to Emily Maria's sons. Alfred was Private 3/4818 in the 11th Battalion of the Hampshire Regiment. Alfred had married May Annie Ryal in 1901 and they had at least one child, a daughter Susan born in 1903. At the outbreak of war Alfred was aged 38. At that age he would not have been in the first line of men to be called up. We can only assume that Alfred felt strongly enough to volunteer for service. Our research has not yet uncovered details of Alfred's service. We suspect that his Army papers were destroyed by enemy bombing during World War II. What we do know is that he was killed on Friday 9th June 1916 near Bethune in the Pas de Calais, France and that he is buried in Bethune Town Cemetery. Here is his entry on the Commonwealth War Graves website. Bethune is about 50 miles S.E of Calais on the A26 / E15 AutoRoute. There are 4 or 5 Commonwealth War Graves Cemeteries around Bethune and Alfred is buried in Bethune Town Cemetery situated in the centre of town. Bethune is in the middle of where all those terrible battles were fought in WW1 and millions of lives lost for very little gain. 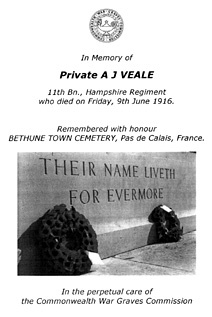 On Thursday morning the 30th January 2003, Janet and I were in the centre of Bethune, in the Town Cemetery, looking for Alfred James' grave. The weather was bitterly cold, bright but a biting wind. This cemetery is slightly unusual in that it is about half for local residents and half for War graves. There are graves for British, German and French, each in different sections. The reference for Alfred James grave is V.E 7. We had trouble finding it. Although not a big cemetery by the standards of Commonwealth War Grave Cemeteries, there must be over 1,000 British graves. The weather forecast for both the UK and northern France and Belgium had been for the winds to go round to the north and snow to arrive from the Arctic. The snow arrived - horizontally and very thick. We retreated to the chapel and looked again in the reference book and plan of the cemetery. These are stored behind a bronze door to a wall cupboard set in the stonework at chest level. We finally cracked the code that V does not mean V but means 5 and head out again to section 5 as indicated on the plan and find Alfred James' grave in row E, the 7th grave along. He has the traditional white headstone with his military details shown. There is no more than a foot gap between each headstone in the row of graves. As always, the cemetery is very neat, the grass immaculate and the trees and plants in good order. We positioned our pot of flowers, paused for a while, took a few photographs of the grave and retreated back to the chapel before we were totally coated in driven snow. After half an hour the snow stopped and we set off back towards Calais with the car heater on maximum to dry us out. In 2004 we made contact with Karen Kelly née Jones who is Alfred James great Granddaughter. Charles was 22 when World War 1 broke out. He had enlisted in the Territorial Army on 14th February 1913. In the regular Army he was Private 80105 in the Essex Yeomanry. He served in France from 29th November 1914 until 15th May 1915. Charles was wounded at Hooge near Ypres on 14th May 1915 at the age of 23. Charles was wounded in the left hand, evacuated to a hospital in Bailleul near Lille and on the 16th May, transferred back to England. His wound severely damaged his left hand leaving him permanently disabled with 3 useless fingers. At the National Archive at Kew we found Charles Army records and all his medical papers relating to his hospital treatment and the eventual consideration for a small disability pension. When Charles joined the Territorial Army he was working for Marconi. In later life he was an ice-skating instructor at Queens Ice Rink in London. Family memory has it that Charles taught Princess Alexandra to ice skate. 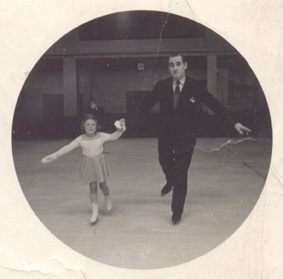 Indeed, we have been given this photograph of him on skates with a young blonde haired girl. We wrote to Princess Alexandra in 2004 but, alas, she does not recall Charles. Not only did Emily Maria have two sons fighting in France, one brother wounded and disabled in 1915 and a second brother killed in 1916 but further tragedy was to befall her in 1918. Her husband Charles was not a well man. He suffered from kidney stones and his pain was graphically described to me by my father, Edward Albert, Charles' son. Charles served his apprenticeship as a Coach Builder & Wheelwright. Within a year of qualifying, Charles had become an Omnibus Conductor, an occupation in which he remained for the rest of his life. On 16th May 1918 Charles died as a result of his kidney stones. He was only 47. He left a widow with at that stage, 2 sons serving in the Army in France plus 7 dependent children. Charles & Emily Maria's eldest child was Emily Sophia, known as Em. You could say that Em came close to losing 2 husbands to World War 1. Em first married at age 23 in November 1915. Her husband was Gerald Stuart Pitman, known as Gegg. Their only child was son Gerald born almost a year to the day after their marriage. 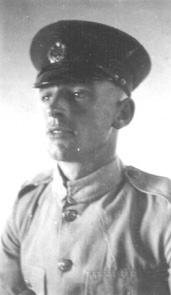 Gegg served in the Army. 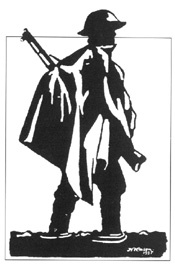 We have few details at this stage of Gegg's service but we know that he was severely wounded whilst on active service. Such was the severity of his wounds that he died from them 6 years after the war ended in 1924. Gegg's best pal was Frederick Arthur Stokes known as Fred. Luckily for Em, in 1925 love blossomed between her and Fred. Em spent 38 years with Fred until his death in 1963 and they raised 2 daughters Gladys and Nellie. They lived in Cliftonville, Margate and I know I am not alone in having happy childhood memories of summer holidays spent with Auntie Em and Uncle Fred. But for fate, Em and Fred would not have met. Fred was in the Navy serving with the 50,000 strong British Royal Naval Division which fought with the Army. We think alongside his pal Gegg but details are scarce here too. What is known with certainty is that Fred was serving in the front line and was in a dug out forming part of a trench when it took a hit from a German shell. In the engagement the British retreated and Fred amongst others was left for dead. Four days later the British retook the line, reoccupied the trench and amazingly Fred was found barely alive in the dug out. He bore a scar on his upper leg stretching from the top to the bottom of his thigh for the rest of his life. In closing, I feel all I can say is that thinking about the Family and World War 1, all their trials and tribulations put into context our lives in the 21st century.